Europe – From the epic majesty of St. Anton to the intimate slopes of Les Houches and the Chamonix Valley, Europe boasts many of the world’s finest alpine resorts. The Swiss Alps are home to some of the most breathtaking ski slopes in the world, while France offers hidden gems for experienced enthusiasts and beginners alike. In this article we reveal 51 of the continent’s most desirable skiing destinations and look at the thrills available on and off the piste. Whether you’re in search of thrilling slopes and vibrant nightlife or want to take in scenic splendor with your family, the following mountains of Europe can cater for every taste. When compared to the iconic resorts in France and Switzerland, many of the top Austrian destinations provide excellent value for money. 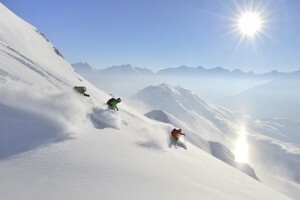 An array of safe, friendly regions, mild climate and up to five months of perfect snow conditions make Austria especially good for family breaks; hardened skiers can of course find some of the most challenging vertical drops in Europe, together with enough thrills and spills to satisfy any adrenaline junkie. The Gastein Valley offers splendid skiing for the experienced and novice alike. 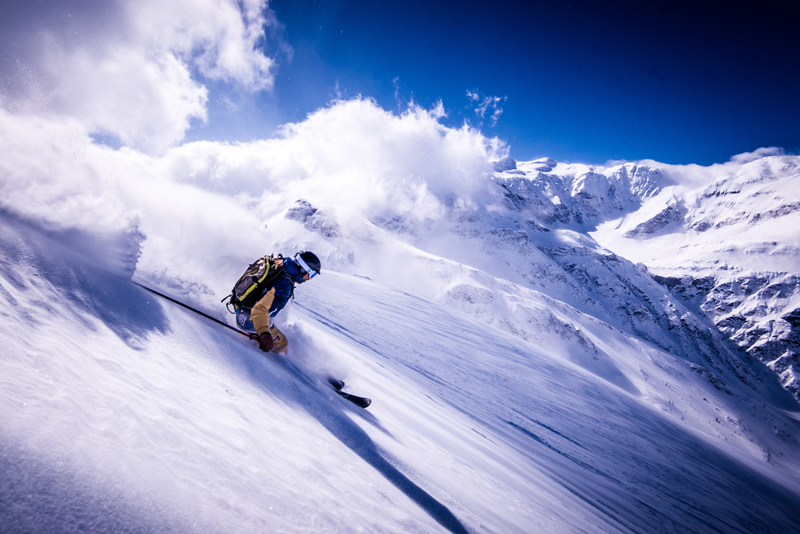 With almost 210 kilometers of wonderful slopes on offer, Gastein provides a diverse array of challenges. Graukogel boasts world-class runs while neighboring Sportsgastein rises to a dizzying 2,700 meters in altitude and presents superlative deep snow and meandering countryside to explore. Snowboarders and skiers can enjoy both temporary and permanent racing hills, while family friendly slopes await those in search of a gentler challenge. 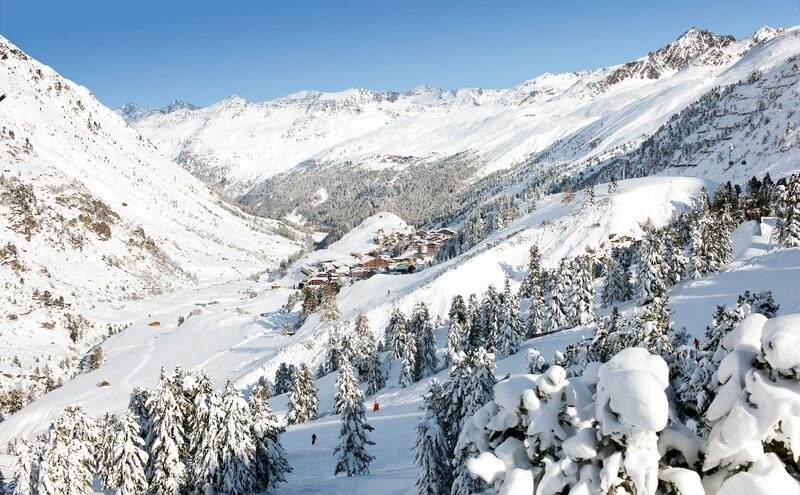 With excellent snow guaranteed from November to April, the Gastein Valley is a great destination for a winter break. In addition to the slopes, visitors can marvel at Europe’s highest suspension bridge and a narrow footbridge, some 90 feet above the ground. More than 50 cable cars and lifts dot the Valley, making even the highest slopes easy to access, while restful spa breaks are also available for those who prefer to unwind amidst the beautiful scenery. The sheer variety of experiences on offer makes the Gastein Valley a perfect place for thrills and relaxation alike. Ischgl is rapidly ascending the list of the world’s most desirable winter destinations, both for its superb array of challenging slopes and for its off-piste activities and nightlife. Huge investment in state-of-the-art cable cars and lifts, with a combined capacity of 93,000 people per hour, mean that skiers face minimal waiting times between runs, while skiers and boarders of every level can find slopes and surfaces to perfectly suit their needs. Austria’s winter season typically runs from late November to the end of April, throughout which skiers can enjoy almost 240 kilometers of fabulous pistes that make up the vast areas of this resort. The Ischgl Snowpark is one of many attractions offering a diverse array of entertainment and thrills for all the family, while the Silvretta-Arena features pistes ranging up to 11km in length. 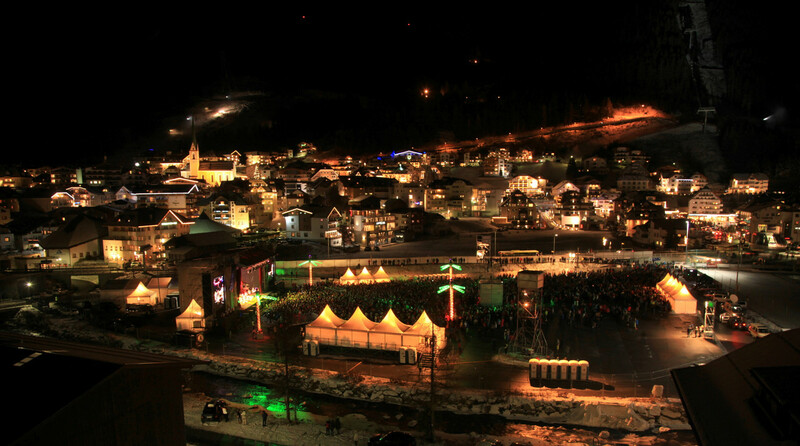 Ischgl has firmly established itself as an internationally renowned resort, thanks in no small part to the end of season concerts put on by major stars such as Rihanna and Elton John, coupled with the enviable shopping and nightlife available in this area of the Tyrol. Few skiing hot spots are as effortlessly cool as this rising Austrian venue. With massive developments and modernization planned for 2015 and 2016, Mayrhofen is set to become one of Austria’s premier skiing destinations. 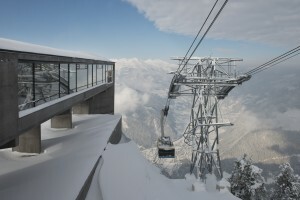 Lengthy waiting times, once a bane of the visitor, will soon be much reduced thanks to an upgraded 24-capacity cabin gondola system, and will make the 134 kilometers of runs on the Penken mountain much more accessible. Mayrhofen’s ski region encompasses several villages such as Finkenberg and Hippach, affording visitors a plentiful choice of quality accommodation and nightlife. Indeed, après-ski is one of the big selling points of the region, with bars and restaurants sprinkled liberally across the mountain; excellent hospitality can be found at the Penken gondola station at close to 6,000 feet. With most of the runs at altitudes from 1,600 to 2,500 meters, snow is plentiful and virtually guaranteed throughout the five-month season. This is a destination for the more experienced skier, with a plentiful choice of red and blue runs served by numerous lifts, while the Harakiri run is Austria’s steepest and, arguably, most thrilling. This is a busy, affordable resort which looks set to rise in prominence as it develops over the coming years. One of the highest resorts in Austria, the picture postcard resort of Obergurgl oozes charm and appeal. More than 100 km of piste sits well above the mountain’s tree line and are liberally draped in snow throughout the Austrian ski season. The resort is well served by a modern lift system, ensuring minimal waiting times even in high season, and providing easy access to the wide range of slopes. 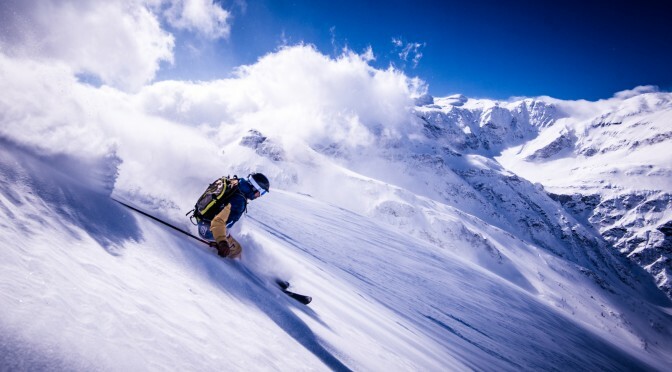 Intermediates and advanced boarders and skiers will love a series thrilling steep runs, all framed by the glorious surroundings of glaciers and stunning peaks. Obergurgl also has a burgeoning reputation for high quality hotels and accommodation, making it a great destination for a winter break. Its location at 1,930 meters all but ensures deep snow cover until late April, while a host of snowmaking machines are on permanent standby in the event of a mild end to the season. Fun slopes, snow parks and indoor golf centers also cater for those seeking a less strenuous workout, and spa facilities are of course on offer for an idyllic off-piste experience. Known for its French-like convenience and party atmosphere, Saalbach is a hot destination for those seeking more in the way of après-ski. Based around the charming, traffic-free village center of Saalbach, the resort caters to the casual skier at lower altitudes than many other Austrian centers. Those seeking the best runs should head for the north-facing slopes of neighboring Hinterglemm, easily reached via a convenient shuttle bus and good lift systems, or Leogang, which offers a quieter atmosphere than the main resort centers. Saalbach provides a vibrant party scene throughout the winter, and is a prime destination for younger, mixed groups and those seeking a fun nightlife scene. The snowmaking facilities do provide reasonable piste conditions all winter, but this is a destination more suited to the casual skier and to groups who want to mix fun on the slopes with a party lifestyle after hours. Both Saalbach and Hinterglemm are packed with bars and clubs open until late. The resort retains plenty of Austrian charm and character, with Saalbach’s picturesque domed church a particular focal point. Just an hour from Innsbruck in the country’s Arlberg region, St. Anton is perhaps the crown jewel in the myriad resorts that fill the Austrian Alps. Long known as a haven for the experienced snowboarder or skier, St. Anton boasts seriously exciting slopes with a vibrant off-piste nightlife to afford the best of both worlds. The resort provides a choice of hundreds of kilometers of beautiful slopes, both locally and via the regional Arlberg Card pass which grants visitors access to amazing runs and pistes across the area. Despite its reputation as a place for the expert, those of lesser ability need not be deterred. There are no fewer than 34 gentler runs ideal for the beginner, while those of intermediate level can find a wealth of brilliant facilities and slopes in St. Christoph and Gampen. The stunning Zurs and Lech, with fabulous snowy runs, are easily accessed via a short bus hop, and the majestic Warth-Schrocken resort is also within easy reach, making St. Anton the perfect base to explore a huge range of iconic Austrian ski destinations. St. Anton is also high on the list of places for those seeking great après-ski. The center itself is a charming blend of classic Austrian architecture and contemporary chic, which comes alive after dark. Moosewirt and Scotty’s bars have a deserved reputation for fun and a party atmosphere, while shoppers will also be thrilled with a meandering and well stocked main street. 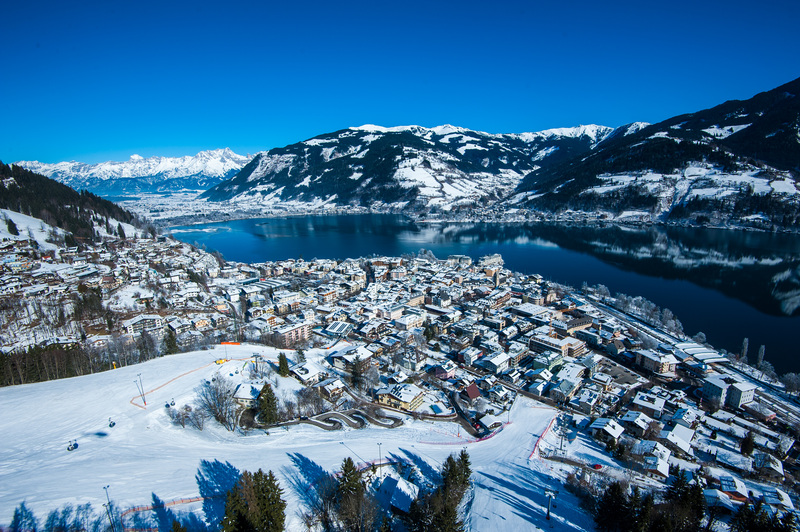 One of the largest resorts in Austria, the Zell am See resort region spans three mountains, affording wonderful pistes and runs for every level of winter sports enthusiast. The Kitzsteinhorn glacier is snowbound for around 10 months annually, making this a great destination throughout much of the year. The Schmittenhohe, Kitzsteinhorn and Maiskogel centers share 140 kilometers of diverse slopes with dramatic steep runs and more family friendly slopes available as well. Head for Maiskogel’s gentler slopes if you seek something to entertain the family, with terrain parks and easy runs ideally suited to those just starting out. If it’s thrills you’re after, the glacier itself boasts spectacular descents and breathtaking scenery that are hard to rival in any destination worldwide. With off-piste trails, tree-lined runs and superb snow, Zell am See has everything you could wish for. Professional boarders and skiers are well catered to, with lots of opportunities for freeriders and more adventurous skiers. Travel across this Salzburg paradise via rapid, cheap ski shuttles – ski pass holders can even get around for free. With good rail access, the city has become a thriving center all year round. Its beautiful lakeside location lends it real majesty, and it is literally bursting with over 100 superb eateries, bars and restaurants. Throw in a quaint weekly market, hiking trails and the fantastic, clean waters, and Zell am See is just about the perfect holiday destination.